Newcastle United have withdrawn complimentary match-day tickets from all the club’s coaching staff in a move that has provoked anger inside St James’ Park. We understand that John Carver, Steve Stone and goalkeeping coach Andy Woodman have been told they now need to pay for any tickets if they want a friend or family member to attend any Premier League fixture. The three men were previously given four briefs each for league games, as is customary at almost every club in English football. All other backroom staff have had their complimentary tickets taken off them as well. They had been given two apiece before this change of policy, which has taken those who work behind the scenes at the club by complete surprise. It is common practice that the coaching staff at any club are given complimentary tickets for every home game and most away matches as well. Cases of clubs charging their senior staff for any ticket is almost unheard of in English football. We also believe that Carver, Stone and Woodman were offered free briefs for Sunday’s match against Real Sociedad, but turned them down in protest. This seems to be another case of cost-cutting by Mike Ashley, although the reality is that in terms of Newcastle’s revenue, the actual money that will be saved is a drop in the water. It is believed that this policy is an attempt to bring all staff into line – the idea being that if an office worker does not receive free tickets then neither should the assistant manager and other senior coaching staff. It remains unclear whether Alan Pardew has had his free tickets withdrawn or indeed the players themselves. There has been no comment from Newcastle. Pardew, not for the first time this summer, did not hold a press conference after Sunday’s final pre-season game, against Real Sociedad, which his side won 1-0. 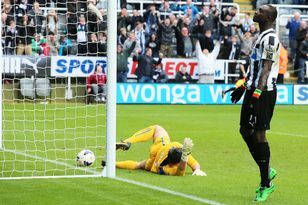 However, on the club’s official television channel, the manager appeared to want a return to Newcastle’s values after last season proved less than trouble-free both on and off the field. He said: “I really hope we can live up to what this club represents, in terms of attacking football and performances. “It is always good to win, we pushed the second half. The first half was nervous, the new players didn’t know whether to step in and put pressure on – but we sorted that out at half time and wouldn’t let them play. Former Newcastle striker Shola Ameobi, meanwhile, hasjoined Turkish second division club Gaziantep Buyuksehir Belediyesi.